Hello again, this is Ramin Rak, back with another post about a medical procedure I performed at Neurological Surgery, P.C. in Long Island. I specialize in treating disorders related to the brain and spine, and recently removed a glioblastoma multiforme tumor during a high-profile surgery. Glioblastomas (GBM) are tumors found in the cerebral hemisphere or spinal cord. These tumors are highly cancerous due to their ability to reproduce cells quickly. In addition, they are supported by a large network of blood vessels. 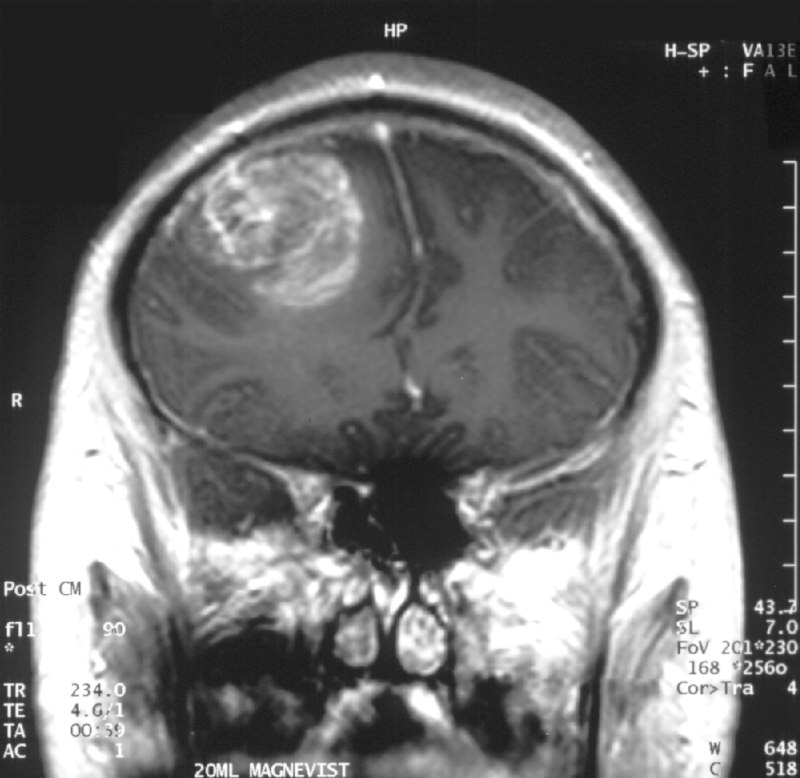 The cause of these tumors are unknown but due to their rapid growth, symptoms commonly involve pressure on the brain. Headache, vomiting, nausea, and drowsiness are the most common. Treating GBM is very difficult because these tumors contain many different types of cells. Furthermore, the network of tentacles in the brain make it extremely difficult to remove these tumors without affecting the patient’s language and coordination. For these reasons, your surgeon may decide to combine several approaches to treat your GBM. Recently, Donald Squire, 52, of East Northport was diagnosed with a GBM that required surgery. His only symptom was a twitching in one of his eyes. His wife suspected a stroke but brain scans revealed that the twitching was due to a tumor. Fortunately, I was able to use proprietary technology to enter the inner labyrinths of his brain and remove the tumor. To reach the tumor, I used brain-mapping technology and neuronavigation, which made it possible to move eloquently throughout the delicate areas of his brain. 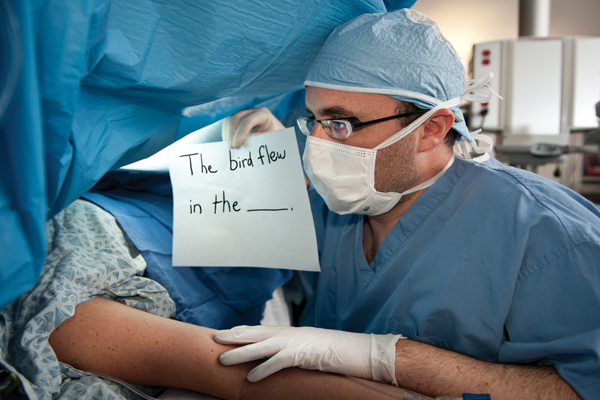 The patient was awake during surgery in order for me to monitor his language, vision, and speech. After the surgery, I had concerns that Squire might lose some of his peripheral vision, but he hasn’t noticed any changes. Squire is very fortunate to have had access to this technology, as not too long ago, this area of his brain would have been unreachable using conventional techniques. Hi all, Ramin Rak here with the latest news about a medical procedure I perform called awake craniotomy. At Neurological Surgery, P.C. in Long Island, New York, I am one of the leading neurosurgeons performing this procedure. When I conduct an awake craniotomy, I work alongside a team of skilled physicians to operate some of today’s most advanced neuro-navigational technology. My expertise in micro-neurosurgical techniques has allowed me to successfully establish awake craniotomy programs in multiple hospitals around the Long Island area. Awake craniotomy is a procedure in which patients remain awake during brain tumor surgery in order to determine whether the operation will affect specific areas of the brain that control speech, vision, and movement. Once I identify a patient as a good candidate for an awake craniotomy, I work with the specialized team at Neurological Surgery, P.C. to establish a baseline of cognitive function and precisely pinpoint the tumor’s location. The specialized team is composed of neurophysiologists (who monitor the brain’s electrical impulses), nurses, and physicians assistants to ensure everything runs smoothly. Before operating on a patient, I use a unique mapping approach to map the brain’s gray matter and nerve fibers within the white matter. Mapping techniques have helped determine where the most brain damage potential lies, allowing me to protect the patient’s ability to speak, move, and see. Thanks to functional brain imaging (functional MRI) and other neurological technologies, I can perform awake craniotomies on patients whose tumors were previously thought to be inoperable. A functional MRI scan is especially important because it identifies functional areas of the brain that are impacted by the tumors. Over the past couple of years, neuronavigation and new types of anesthesia have also made the procedure safer and easier to conduct. The most reassuring aspect that relieves my patients is when I tell them that they will not feel pain when they are either awake or sedated during an awake craniotomy. For further information about awake craniotomy, read my full press release here: http://www.prweb.com/releases/2013/2/prweb10445390.htm or learn about other procedures I perform by reading my blog. Good afternoon and welcome back to my blog. My name is Ramin Rak, I am a neurosurgeon with Neurological Surgery, P.C. in New York and one of my specialties is performing awake craniotomies. In July of 2010, I received media attention after completing the first awake craniotomy that had ever been performed at the North Shore-LIJ Huntington Hospital. The procedure was notable for me because it was only my second awake craniotomy. The need for the procedure was uncovered after 23-year-old Boris Arrazia experienced a seizure while driving his car. Arrazia’s passenger was able to navigate the car to the side of the road and put it in park, and a passerby performed CPR and then called for help. Arrazia was brought to Huntington Hospital where doctors uncovered the cause of the stroke: a tumor located in the temporal lobe of his brain. Though there are a lot of risks associated with awake craniotomies, including serious bleeding, there were no complications seen while removing Arrazia’s tumor. Four days later, he walked out of the hospital and reunited with his family. If you are interested in learning more about how I perform awake craniotomies, visit my Quora profile. Boris Arrazia thanks Ramin Rak following completion of the awake craniotomy.